You can make it out of raw meaty bones, bare bones, or whole birds like chicken, quail, etc. Organic is much preferred because bones can be storehouses of minerals including heavy metals, so the ‘cleaner’ the source, the better. 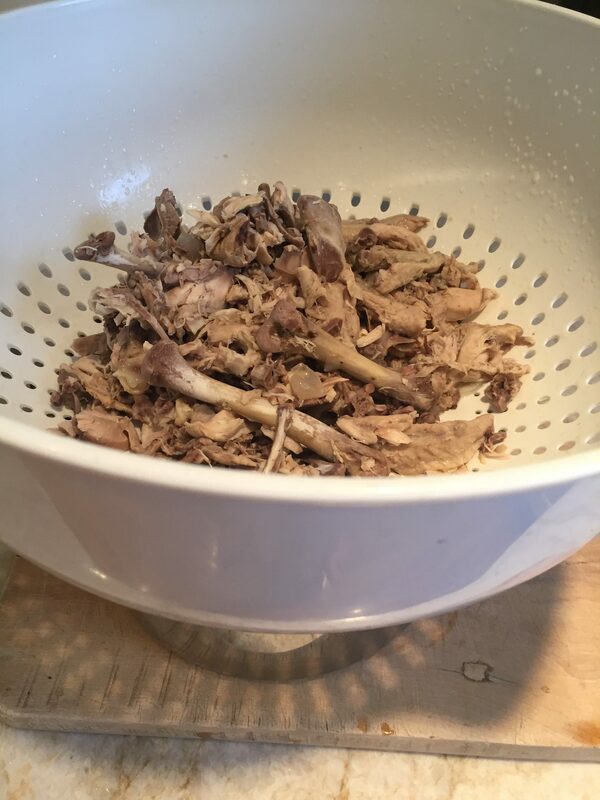 Add 16 cups of water for every 2 pounds of bones in a stockpot. Bring to a boil, place lid on pot, lower heat and simmer. 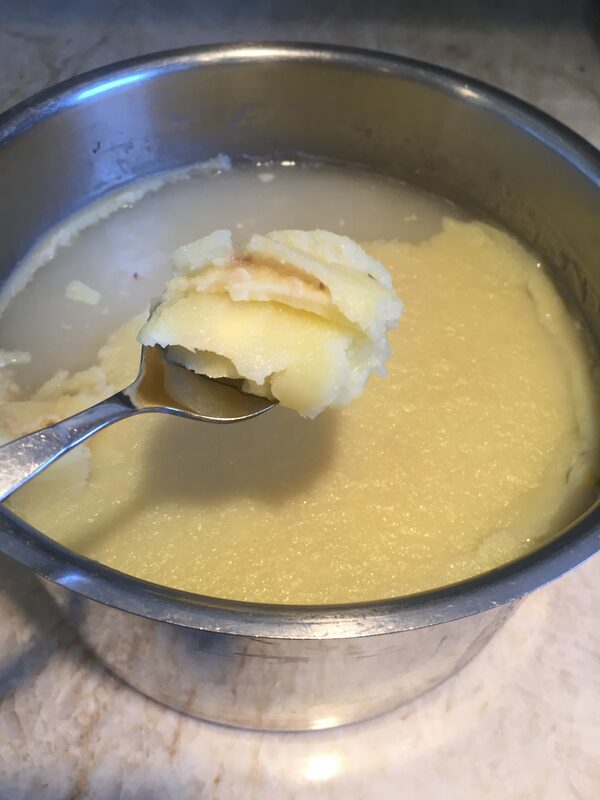 The length of time to simmer depends on the types of bones and frankly, how much time you have. 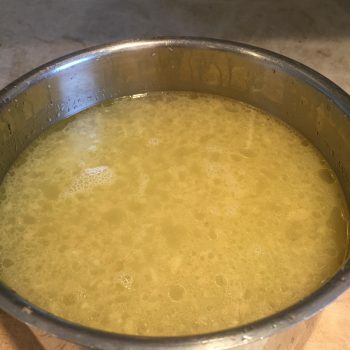 Chicken bone broth can be made in 8-24 hours. 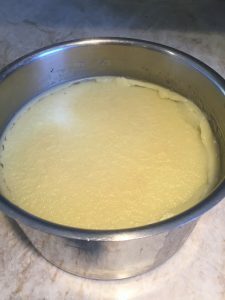 Mine usually simmers for 8-12 and is very gelatinous once it’s been in the fridge overnight. Sometimes I use a quartered chicken and cheat by using 1 cup less water and simmering for only 5 hours. Guess what? It still comes out great! 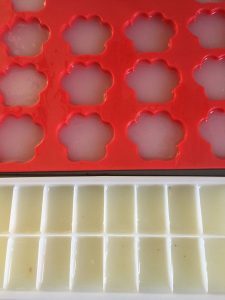 You’ll find recipes that show an addition of 1-2 TBS. of vinegar which is said to help extract minerals from the bones (but do we need to do that when feeding a balanced diet? 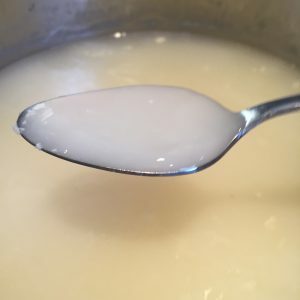 )The science on the validity of ingesting collagen is sketchy because absorption is based on so many factors, and the body doesn’t just soak up collagen. As to the minerals in broth, it would be silly to think of them as helping to balance a diet, so once we have a good diet in place, bone broth is being used for the amino acids it provides and as an easily digested food to help the GI tract. Good as bone broth may be there’s something to consider – fat content. Feed it in the way most recipes call for and a sensitive gut is likely to revolt. 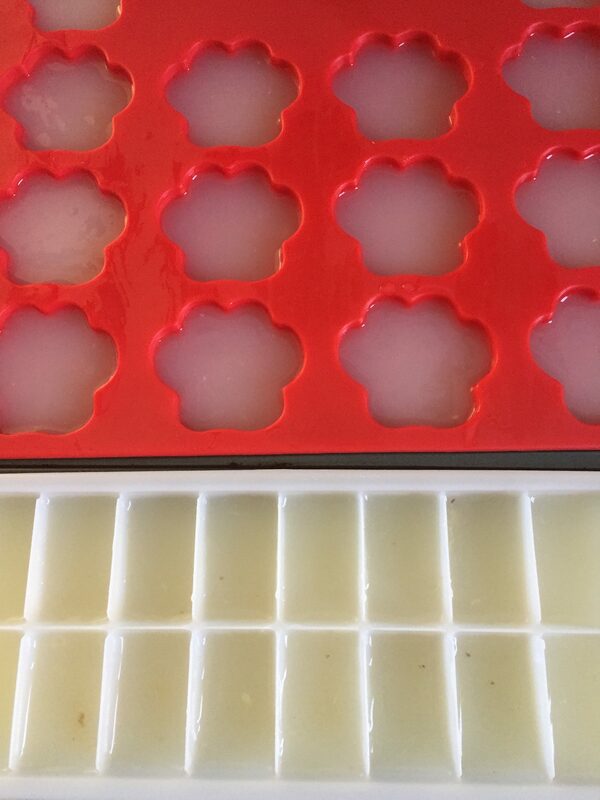 Place it in the fridge overnight and skim the congealed fat to make it as lean as possible. Healthy fat should be coming from the dog’s basic diet. 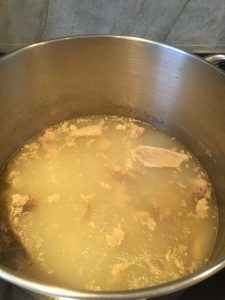 Excess fat in bone broth adds calories and can cause serious GI reactions especially in dogs with intestinal compromise of any kind. Keep it lean and you have a nourishing food instead. 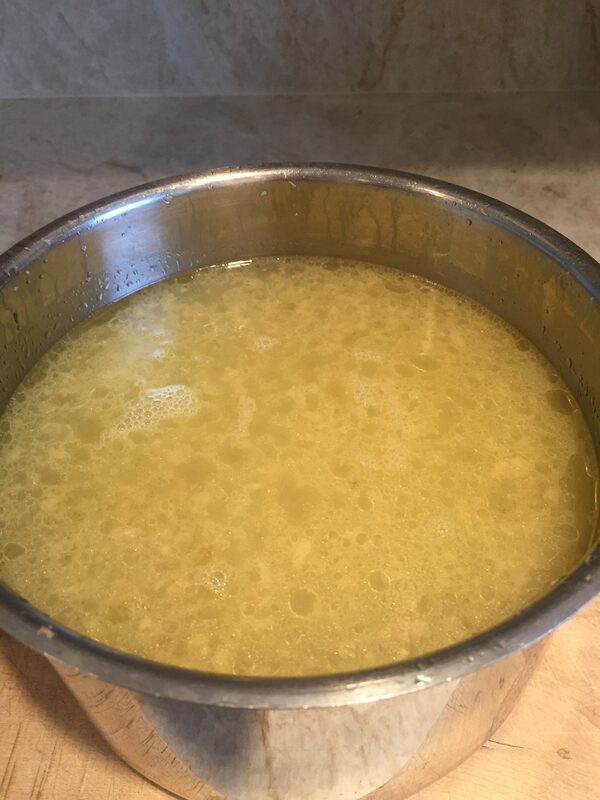 The images below show bone broths made two ways. Here are the bones after draining pot b. The marrow was as soft as putty, but of course the bones weren’t. Once returned to the pot for a few more hours they can crumble almost completely. Look at the amount of fat to skim off!